The Libertarian Democracy newspaper was closed on 28 March 2018 with the Decree Law (KKR) issued by the AKP-MHP. The Turkish state has banned access to Firat News Agency’s (ANF) Twitter account. The Mesopotamian Women Journalists Platform (MKGP) has issued a written statement in solidarity for women journalists who will appear in court this week. Journalists called on people to join the hearing of detained reporters next week in Istanbul. A red bulletin has been issued for journalist and writer Ragip Zarakolu. Reporters from Chira TV were hindered by armed forces under Qasim Shesho as they tried to follow the Cema Feast of the Yazidi people. Journalist Ruken Demir was detained following a house raid in Amed. 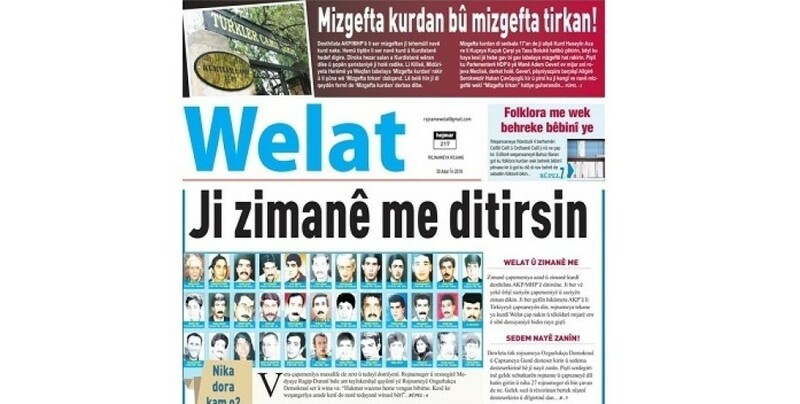 Kurdish journalists in Turkey are standing trial for conveying the untold truths to the public. Journalist Ruken Demir had her house in İzmir raided by the police. Journalist Hülya Emeç and her source Hafize Tunuç have been issued 6 month-long prison sentences for violating the Turkish Penal Code Article 301 for a news article. Jailed journalists exposed psychological torture. Yet another journalist has been taken into custody in Turkey. Imprisoned journalist Mehmet Dursun is standing trial for his journalistic activities in Van province of Turkey. Erdoğan’s judiciary has increased pressure against Jinnews and filed a lawsuit against News Director Safiye Alağaş. Once again, news articles were counted as evidence of criminal activity. Police raided the office of Women’s News Agency JIN NEWS in Amed (Diyarbakır). An action was held in support of ETHA news agency journalists in prison. 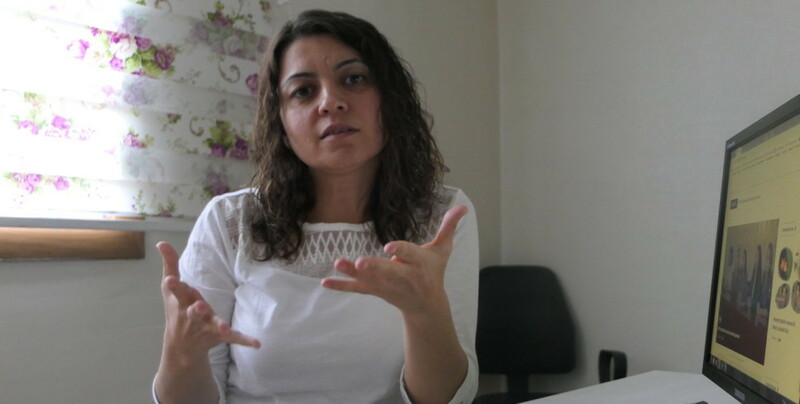 DIHA reporter Şerife Oruç, who was detained again by the gates of the Elazığ Type T Prison following the order for her release, has been referred to the Elazığ Courthouse. Dicle News Agency (DIHA) correspondent Şerife Oruç has been released from prison. Lawyer and co-editor Eren Keskin defended that she is being tried as a lawyer and human rights defender for 30 years. The AKP-MHP government continues its attacks against the free press in Turkey. A demonstration in Ulm demanded freedom for journalist Meşale Tolu and other journalists jailed in Turkey. Adil Demirci, a German citizen who writes for ETHA News Agency and has been detained in Turkey three months ago. The monthly report by the Free Journalists Initiative confirmed ongoing detention and attacks against free press. Journalism is a dangerous profession in Turkey. Tomorrow, Mesopotamia Agency (MA) Correspondent Seda Taşkın will be tried again. On the other hand, an indictment has been filed against DIHA correspondent Gökhan Öner. The fascist AKP-MHP regime continues its attacks against free press.